This hallmark store is like a hyperreal paradise, full of pretend limited knockoffs. Or, in the case of "uglydolls," not full of them. Thanks, Zac. 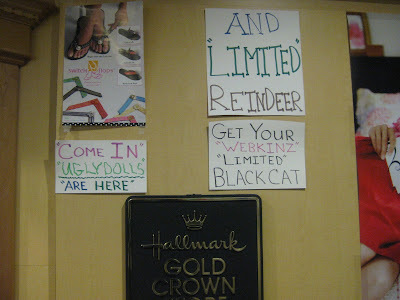 Poor Hallmark. I think they've been punk'd. In what way are these things "limited"?